Welcome » Against voluntourism ! The industry of “humanitarian tourism” or voluntourism is booming. 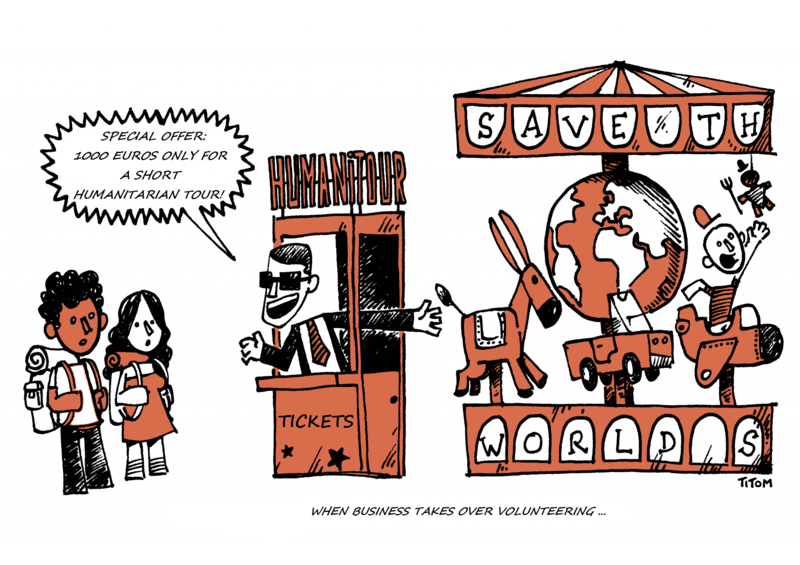 Some companies employ business methods of the mass tourism industry while using the concept of international volunteering as a facade and taking advantage of the good will of young international volunteers to make profits out of misery and misfortune.Voyeurism is the only thing those voluntourism companies sell! They turn developing countries into a large “amusement park” where good feelings rhyme with huge earnings. Humanitarian tourism is nothing more than a subtle form of “racism”, through which voluntourists act like the “white knight” who is going to save all the “poor children” in Africa, even if they have no specific qualifications. Those tour operators thus organise projects in response to supply and demand to serve the needs of volunteers, not those of local communities. The use the concept of “humanitarian mission” and turn it into goods. Volunteers often have to pay from € 1000 to € 3000, transport not included, for a 2-week volunteering project in a developing country. Meanwhile, the local host association only receives a small part of this amount. These kinds of projects reinforce stereotypes and turn poverty into a tourist attraction. Some young, unqualified people may go abroad to practice medical acts, in countries they know nothing about! Volunteering projects are sold just like very expensive goods are. Non-profit associations provide you with opportunities to get involved in international volunteering projects. 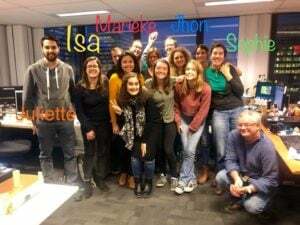 You can benefit from their real experience and knowledge of international solidaritygained thanks to many peer-to-peer partnerships with actors on the ground, in developing as well as developed countries. We do not create projects, because we don’t know the needs of local communities. We receive projects from our local partners, and not the other way around. Facing this phenomenon, SJV feels it is essential to inform and raise awareness of the public on these practices and the consequences for associations and local populations. If you wish to participate in international volunteering, go for associations: travel agencies have nothing to do with solidarity! Solidarity is no tourist attraction, and least of all is it a way to generate dividends for shareholders!